Do you find that your patients don’t refer as much as you like, or at all, despite your best efforts, research and coaching? Are you a referral-based practice but feel you should be getting more? Have you concluded patients just don’t refer and neither do any of your other contacts in your locale, in your networking groups or professional community? Well you’re not only going to learn what the real issue is that’s been eluding your efforts to solve it but learn how to create a patient referral ... Maggiori informazioni army in the process. 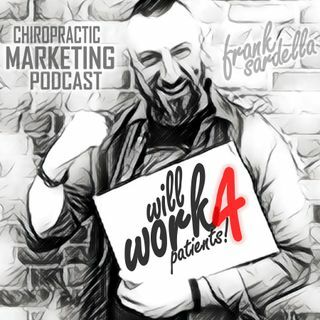 Join Frank as he discusses further into why the true screening process pervades existing patients and their ability to refer and how the game changer is already under your existing roof! Tune in now! !